Ashley Drummond is an elite swimmer. Clayton Sandalford is a talented artist. From the moment of their first meeting, they were destined to be together. Staying together, however, will test the limits of their love. A world-record swim, and the strange vision that accompanies it, raises questions about the couple’s connection. 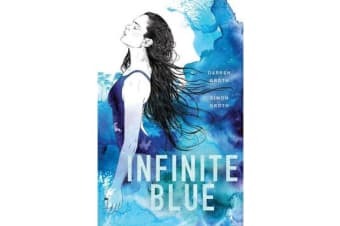 Infinite Blue is a contemporary fairy tale about love and loss, flesh and water, the source of eternity, the lure of possibility and the belief that life is limitless when it’s immersed in legend.